Well it has been well over a month since our last update to the blog. Long overdue and we thought we would share with everyone what we have been up to this last little bit. With the end of January and our custom dance floor vinyl at the Wedding Palace Bridal Show, and our adventures at the Awesome Adventure Academy, the month of February started off with an install at the Cookery Bistro in Kanata, as we installed one of our larger vinyl expressions to date. 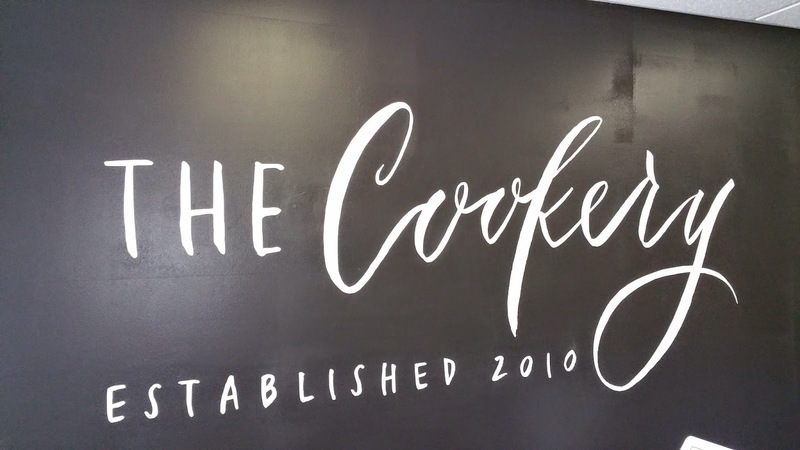 A 6 foot wide logo done up in a white vinyl on a black wall. You can't help but notice it! Many of you on Facebook have already seen these updates and pictures as well as others. We also had the opportunity to cut some vinyl for one of Ottawa's well known photobooth companies. 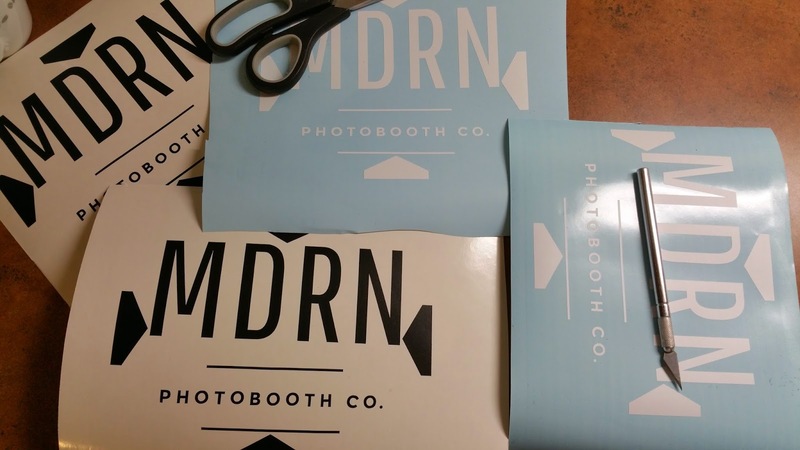 You may have seen MDRN Photobooth at one of many recent events throughout the National Capital. 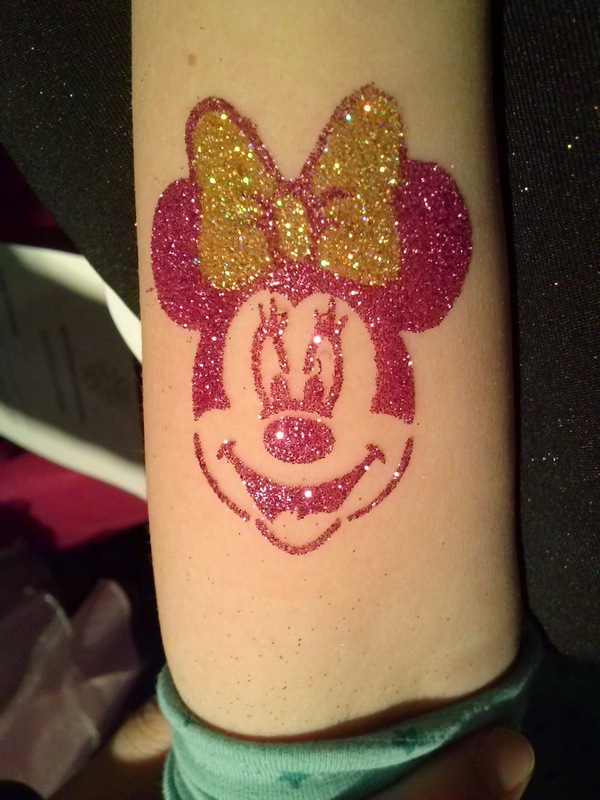 As well we were on hand with our glitter tattoos for the celebration of 10 years in business for another well known Ottawa company. Sue's Sweets celebrated 10 years in business at the start of February and we were on hand to spread the joy with our glitter at the Westgate Shopping Centre. if you've never sampled any of Sue's sweets, then you are most definitely missing out. Another big event we attended in late February was the Tie the Knot - The Urban Wedding Show, held at the museum of Nature. 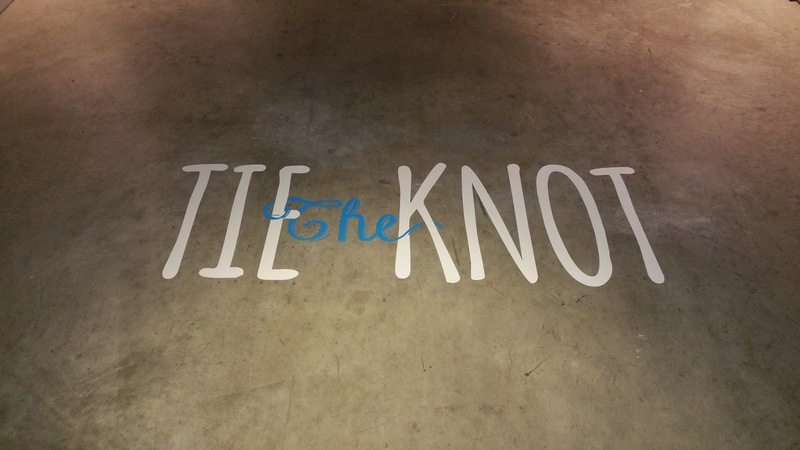 We had the honor of supplying the show with a personalized logo that greeted everyone as they made the rounds to see all the other great wedding industry professionals. 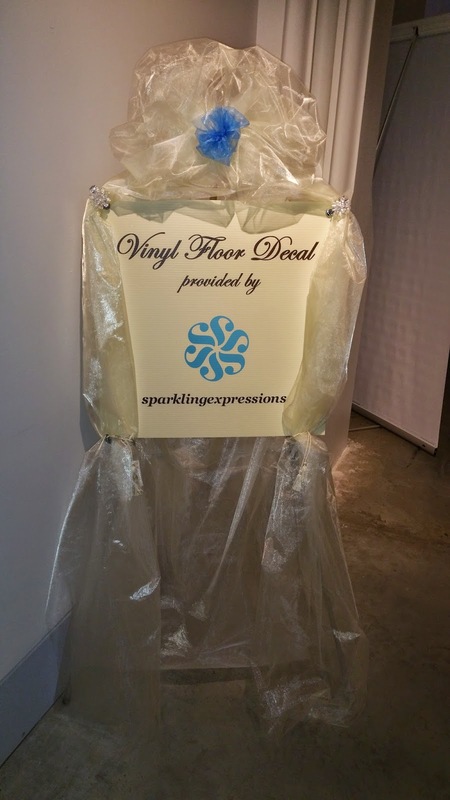 This was also another great way for us to showcase "Wedding Dance Floor Vinyl" as well as Floor Vinyl in general. 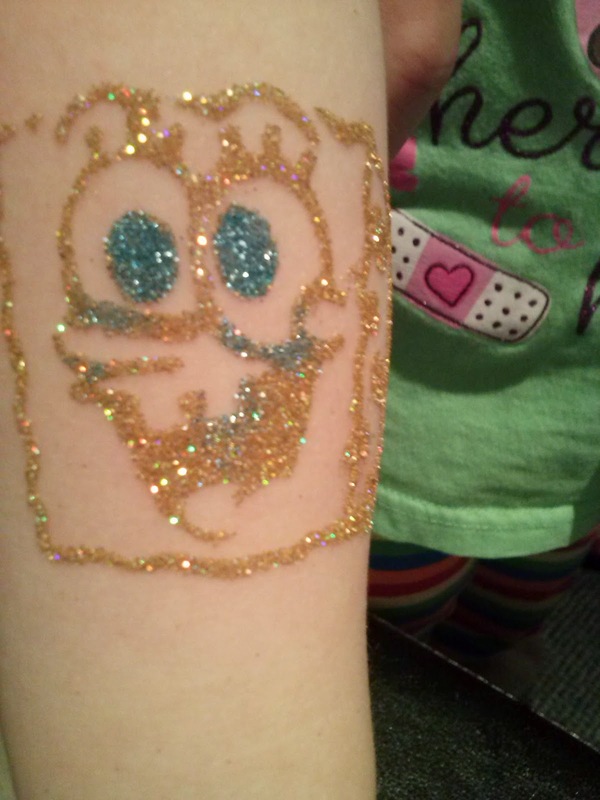 As well, sparklingexpressions was on hand to do some glitter tattoos and help with fundraising for another great local community organization at Boston Pizza in Barhaven. That organization being Ability First Ottawa. Even Dylan Black from Boom was on hand and a fun time was had by all! Not to be outdone for excitement and fun, the month of March saw us start off with another wonderful and magical event. This was indeed an eye popping and smile filled day! 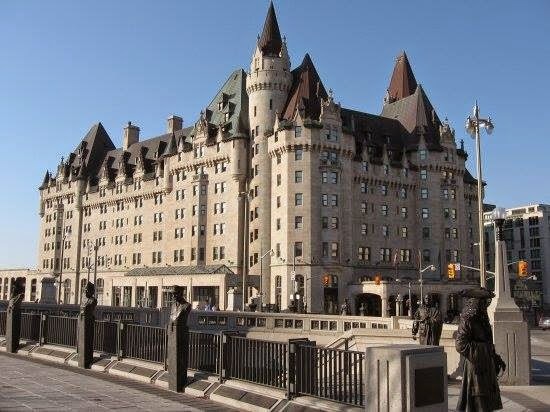 sparklingexpressions was off to the Fairmont Chateau Laurier in downtown Ottawa for glitter, tattoos and fun! 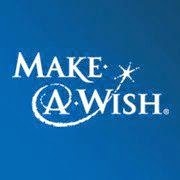 This day was all about Miranda, as her wish to become a princess was fulfilled by Make-A-Wish Eastern Ontario and everyone on hand. The middle of March saw sparklingexpressions enjoying March Break with everyone at Tag Along Toys in Kanata. the Glitter was once again sparkling everywhere and smiles were plenty! 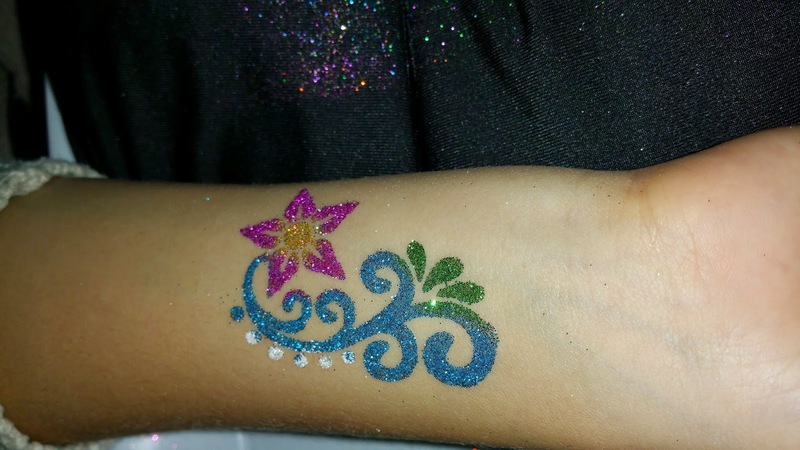 The following two pictures are a couple of the glitter tattoos seen about the toy store. The First Annual Single Parent's Symposium was held just this past weekend, and took place on Ogilvie Road, and sparklingexpressions was on hand to entertain the little ones while their parents took in this informative event. The glitter tattoos and smiles were once again in full force! The month of March will be capped off with a visit to see The Handmade Bride for some custom vinyl decals and another glitter tattoo birthday party. As you can see the blog may have been quiet but we've been a rather busy bunch. Not to mention some more exciting news to come that we've been working on the last two months to celebrate and start off the summer with. You don't want to miss this surprise announcement or event! Please keep an eye out as we update with more blog posts with a little more information on many of the above events and/or companies.